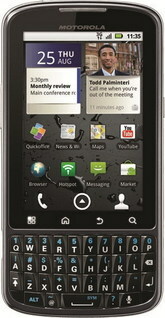 Cell Plus Inc. is the authorized agent for U.S. Cellular. They started their operations about 15 years back. The start was humble in a small store in downtown Baraboo, WI. However, it is with their quality of service that they have progressed to their current status where they are present in 5 locations in the Central Wisconsin area. The company is managed by the able pairs of hands of Matt Kamla as the Chief Operations Officer and Andrew Kamla as the President as well as Chief Executive Officer. They have received many awards as a token of their performance levels including the Platinum Certified Agent award in the year 2009. There are currently 0 consumer reviews about Cell Plus available. Share your review. Please take a note that you are about to post a public review about Cell Plus corporate office on CorporateOffice.com. This review will be public, so please do not post any of your personal information on this website. If you would like to contact the corporate offices of Cell Plus, please use their contact information such as their phone number, website, and address listed above to contact them. However, sometimes staff from Cell Plus headquarters do read the reviews on this website.